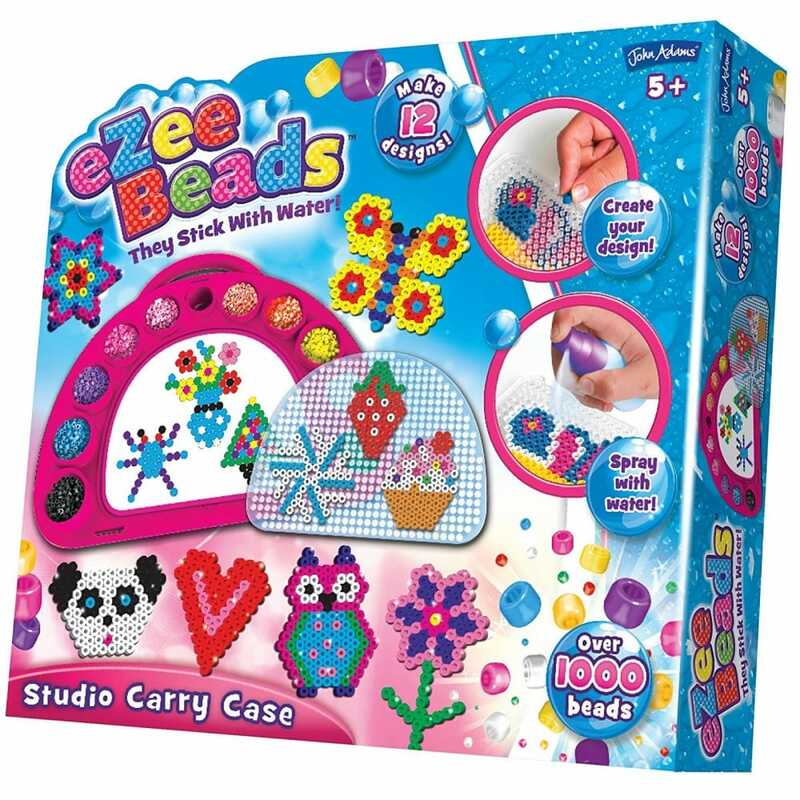 Create lots of colourful eZee Bead shapes with the special Studio Set. Follow the design sheets or make your own creations! Spray with water, leave to dry, then carefully remove your bead design. Includes studio, design sheets, bead tool, water sprayer and 10 different bead colours. Set contains over a 1000 beads to create up to 12 designs, carry case for storage, 4 design cards, bead tray, water sprayer and instructions.